EXCITING NEWS!!! We’re officially announcing a FREE event for NAB attendees that is based around our feature film, “10/10ths” and will occur April 16-17 around the time of NAB. 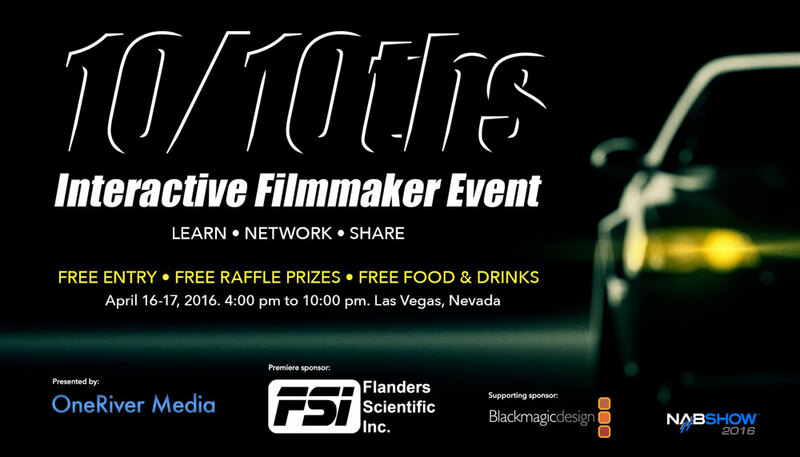 There will also be FREE raffle prizes from Flanders Scientific, Inc., Blackmagic Design, Dana Dolly, 10/10ths, and OneRiver Media! Come one or both days! The event is relaxed and open for many topics of discussion in the production and post-production process of the film. Tips, tricks, workflow, ideas, networking, shop-talk, you name it! 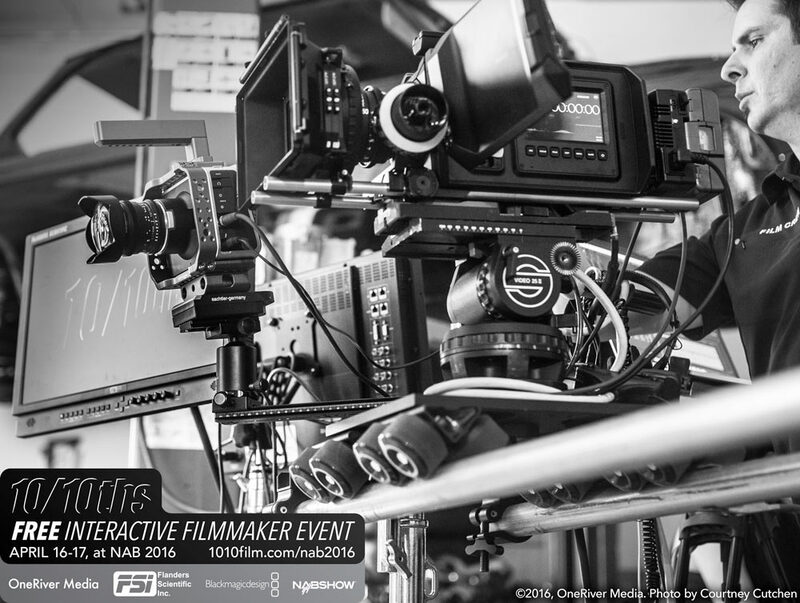 How today’s tools allow filmmakers to perform more roles and save money. Choosing the right camera (tool) for the shooting scenario. Using multicam in an unpredictable, high-action environment. Shooting single-cam to re-create a multi-cam experience. Shooting ENG style in documentary form with no options for re-takes. Lens choices, from primes, zooms, specialty, and ENG. Maximizing image quality while keeping data sizes in check. Ensuring audio quality in both a live environment and in a studio environment. Acquiring sufficient footage coverage to ensure editorial flow and options. Working with 10TB of footage assets: Shooting/transferring/storage/backup. Editorial choices to keep the story engaging with change-ups to keep it fresh. Women filmmakers and their perspectives on the filmmaking process. Interweaving sub-stories within the main story. When to shoot critical interviews that drive the overall story. Using bussing to create an audio sub-mix in the edit for stemming and buss compression. Scoring the music for 10/10ths and how it drives the emotion of the story. Performing the dialog mix to keep focus on the story. Color timing and grading in DaVinci Resolve to convey emotion in the scene. Properly synthesizing a mono audio source into a mono-safe stereo conversion. Creating a finished master file. And any topics or questions attendees wish to ask or participate in. And free raffle prizes to boot! But you MUST register to come to this exciting event! Did we mention it’s free? See you there!